We sell steering racks, power steering and spare parts to them for car repairs of various brands. We sell new and fully restored steering rack. All steering racks are tested on factory stands. 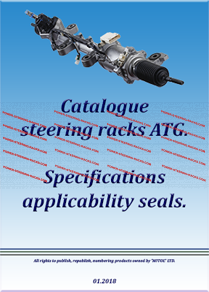 Electric steering racks are additionally checked on special stands for compliance with the manufacturer’s parameters. All tests are carried out in the factory. The price on the site is final, no return of the old part is required. You can also purchase oil seals and O-rings for steering raсks, power steering pumps and steering gears. There are always more than 500 types of steering raсks and more than 1000 types of oil seals. If you know something about the required part (designation, number, dimensions), then start entering information in the product search form (‘Search products …’).